Meghan Markle, Duchess of Sussex and Prince Harry, Duke of Sussex, attend the WellChild Awards at the Royal Lancaster Hotel on September 4, 2018 in London, England. Meghan Markle and Prince Harry stepped out for a very special ceremony on Tuesday. 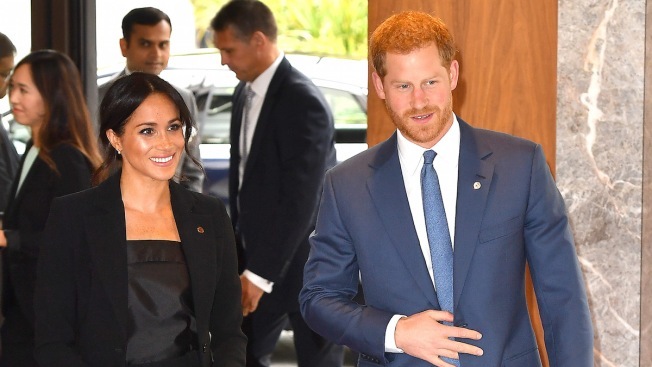 The Duke and Duchess of Sussex, both donning suits, were spotted arriving to the WellChild Awards on Tuesday afternoon. "The Duke and Duchess of Sussex are attending the @WellChild Awards, celebrating the inspirational qualities of the UK's seriously ill children and young people, along with those who go that extra mile to make a difference to their lives," Kensingston Palace tweeted along with a video of the royal couple arriving to the ceremony. For the event, Meghan pulled her hair back into her signature low bun. She paired the look with an Altuzarra Studio black trouser suit along with a Deitas "Coco" Camisole. Meghan also appears to have worn the pearl and diamond earrings that were gifted to her by Queen Elizabeth II. Buckingham Palace confirmed to E! News back in June that Meghan's earrings were a gift from the Queen after she was spotted wearing them while attending a royal engagement with the monarch. Once inside the WellChild Awards on Tuesday, the royal couple met with honorees and their families. When nominee Matilda Booth gifted Meghan white roses, Harry jokingly asking Booth, "Where are my flowers?" 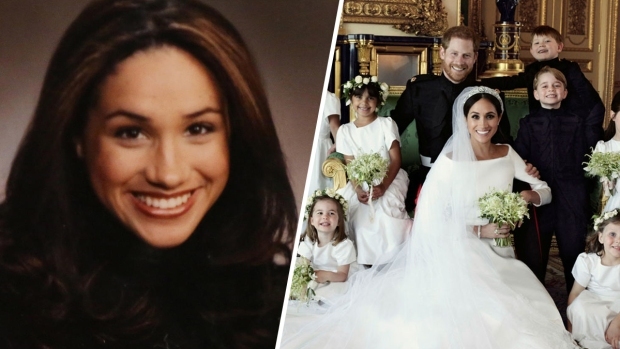 Last week, Harry and Meghan returned to the spotlight after taking some time off from public events. The couple stepped out to attend a special gala performance of the Broadway musical Hamilton at the Victoria Palace Theatre in London. For that event, Meghan wore a $595 black Judith & Charles tuxedo mini dress along with matching heels.